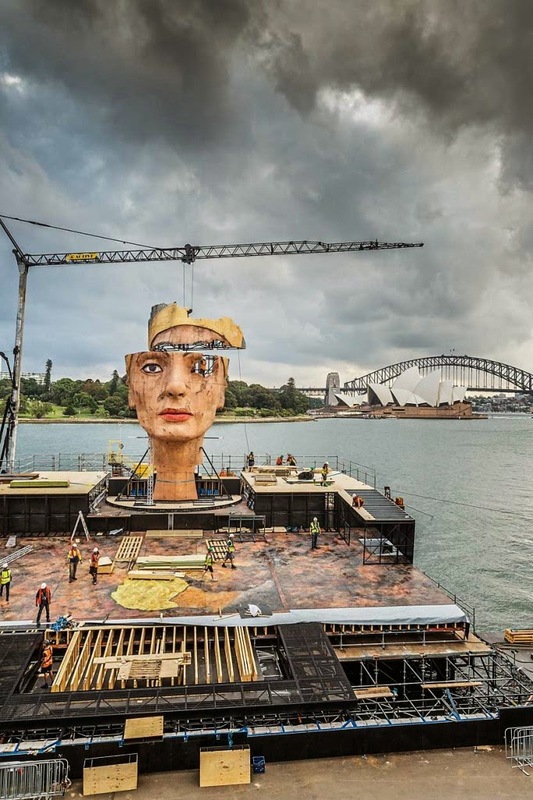 This year's opera-on-the-harbour is Aida. I took the snap above last week from Mrs Macquaries Road. 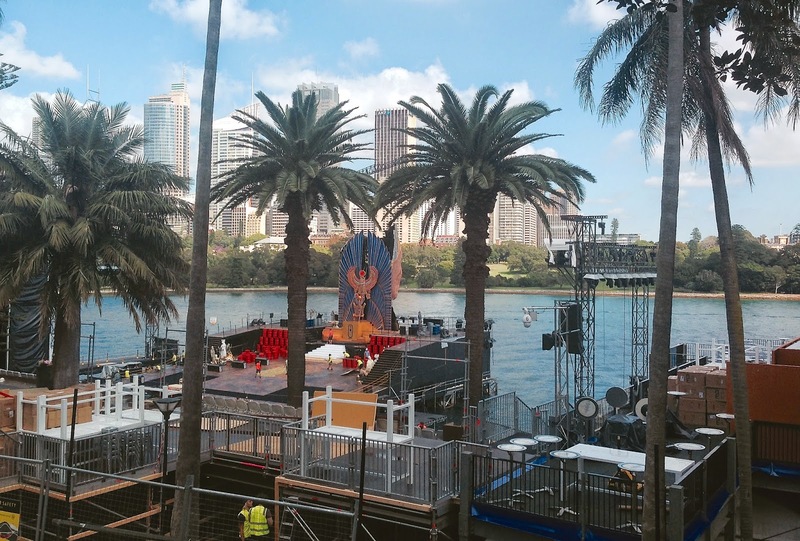 The stage is constructed over the water (mid-field), with the set build well advanced. Seating is raked down the steep slope of the site to the water, with facilities (foreground in the photo) - walk ways, eateries, decks, toilets etc - built up surrounding and behind the seating and essentially perched high among the trees and plants, and palms, of the Botanic Gardens. It's a massive undertaking. The set looks like a revolve. There's the well publicised Nefertiti seen above facing the water - away from the audience - with another set now being built behind her. I went last year to the Butterfly, and was very moved by it. This year certainly has big spectacle as a draw. Camels and the like. Fireworks of course and it isn't hard to predict where. Vast numbers of extras I'm sure. How successful they will be with this year's production team in getting the essential tragedy across remains to be seen. And then there's the issue of the allocation of limited arts budget - mine, not theirs.